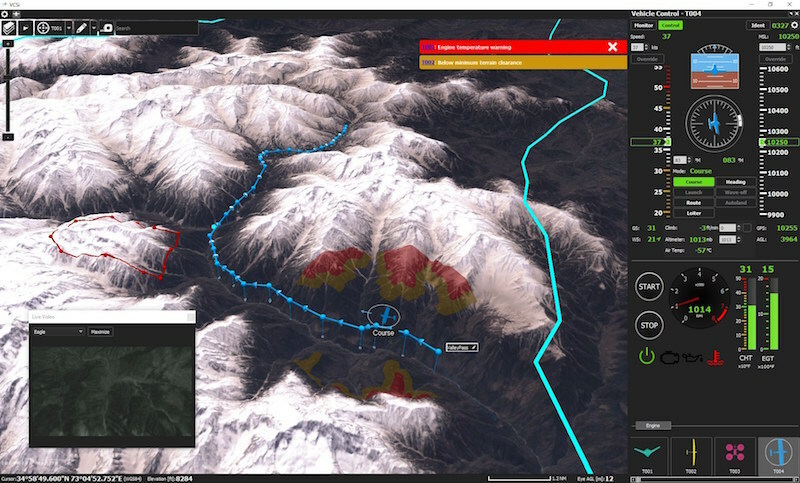 A screen grab from Lockheed Martin’s latest VCSi software that enables operators to control multiple unmanned aircraft types operating anywhere in the world. Image courtesy Lockheed Martin. CALGARY, Alberta --- Lockheed Martin software has been simultaneously flying, on average, at least six unmanned aircraft during every hour of the last 25 years, completing missions as diverse as reconnaissance, inspection, mapping and targeting. Today, Lockheed Martin is launching VCSi, a new vehicle control software, as the culmination of more than two decades of experience and 1.5 million hours of operational use. A screen grab from Lockheed Martin's latest VCSi software that enables operators to control multiple unmanned aircraft types operating anywhere in the world. Image courtesy Lockheed Martin. -- International: Commercial software, made in Canada and free of export restrictions.